Fouad Husain, CEO GroupM Pakistan unveiled the Biggest News of 2018 in the advertising world at the MediaCom launch event! “All Agencies of GroupM have a unique culture that reflects our GroupM Vision. At MediaCom we believe that everything starts and ends with our People. This is the cornerstone of our ‘People First’ Philosophy’. Our four global behaviours – Know It, Push It, Share It, Do It, are manifested in all our offices in the global network empowering our employees to reach their full potential giving the BEST to our clients and creating waves in the industry!”, Fouad Husain CEO GroupM. 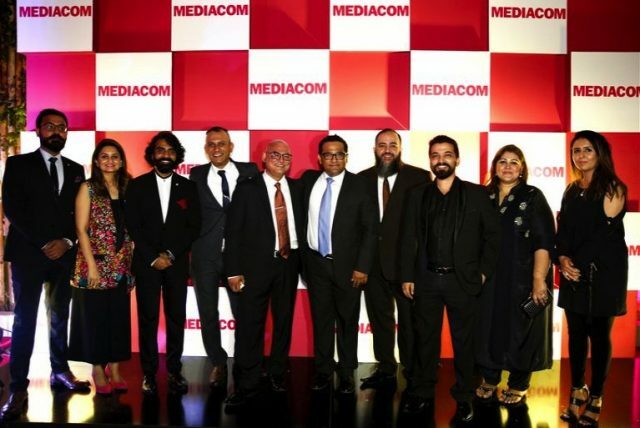 Top dignitaries from the Media, Advertising, Showbiz, and Brand Fraternity Celebrated the Launch of MediaCom with Pakistan’s largest media company, Groupm! The Creation of a MediaCom Operation provides clients with significant advantages by working on the new Global Planning Approach and positioning of the Content + Connections agency. MediaCom clients will also be able to leverage parent company, GroupM’s specialist expertise, providing a dramatically more comprehensive service in areas such as Digital, Programmatic Buying and Analytics. MediaCom will be led by Kashif Malik, having over 17 years of experience, currently holding the Managing Director’s office at MEC. “Ecstatic to be given the opportunity to head one of the most powerful network, agency and brand name in the region, Mediacom! An Agency that has been named Adweek Global Media Agency of the Year, ranked number 1 Agency network in Gunn Media 100 – shows us the opportunities, growth and learning that will cultivate in the Pakistani industry through Mediacom!” Kashif Malik Managing Director Mediacom. “We are extremely excited about the launch of Mediacom that will help in enhancing the image of GroupM and will help us and our clients further grow! At Mediacom we feel everything is connected! And that means a media agency has to think and operate in an entirely new way. So new that we don’t even call ourselves a media agency anymore. We call ourselves The Content + Connections Agency.”, GroupM EXCO.